How often do you leave a restaurant thinking, “That was really good, but…”? Chicago has a bounty of incredible restaurants, but they are catering to more than 2.5 million people, and it’s no easy task to provide a meal exactly how it has to be for each customer. The long lines for Gotta B Crepes during the outdoor season at Chicago’s Green City Market require five griddles and a team effort. Photo provided by Gotta B Crepes. Ryan Jones of Gotta B Crepes strives to do just that, though: Custom-make each crepe the way it’s gotta be for each person. 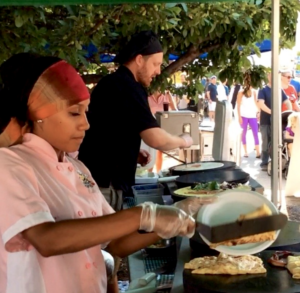 Gotta B Crepes, based out of the Chicago suburb of Evanston, pops up in farmers markets around the city and its environs throughout the market season. In fact, Gotta B is the official crepe maker for Green City Market, the city’s premier farmers market, during its outdoor season in Chicago’s Lincoln Park. The Gotta B journey didn’t have a straight shot from start to success, but in six short years Ryan and his wife Kathia have come a long way. 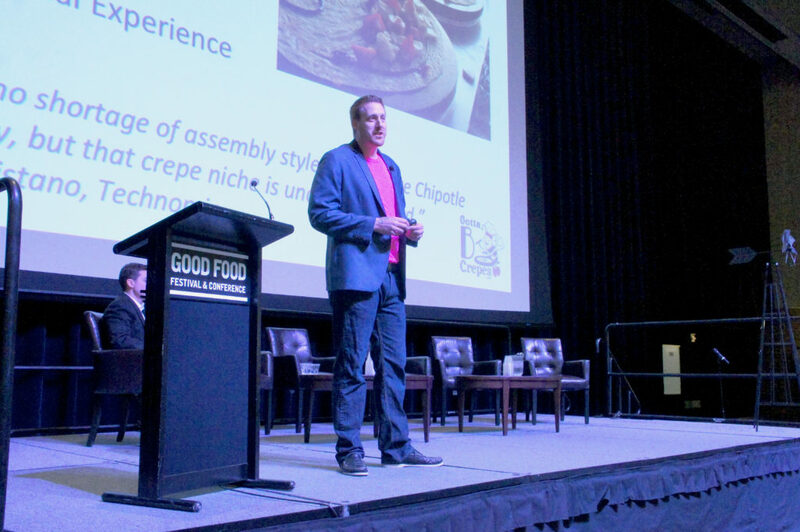 And their goals to go farther prompted Jones to participate with eight other rising entrepreneurs in the current cohort of FamilyFarmed’s Good Food Business Accelerator (GFBA). One of the first things you notice about Jones is that he is totally on message about his product. Throughout the interview for this article, I lost count the times Jones said, “That’s how it’s gotta be.” He even has the company’s logo — a bee in a chef’s hat at a crepe griddle — tattooed on his wrist. Jones grew up making pancakes, but that did not destine him to become a crepe master. In fact, he said he didn’t even know what a crepe was — and couldn’t even pronounce the word — when, as a student at Indiana’s DePauw University, he interned with the Chicago-based Lettuce Entertain You restaurant group. But by the time he graduated, he was offered the opportunity to work at a crepe stand and he took it. “What was at first intimidating became really exciting, because when I first got a taste for making the crepes it was so fun,” Jones said. Luckily for Jones, The Magic Pan — the crepery where he came to work in Chicago — hired Kathia, the woman he would eventually marry, as a flavor master. Over the years, Kathia taught Jones some flavor techniques, and in his own words, “It’s been really fun to go from knowing nothing to having more of an understanding.” Beyond his future wife’s encouragement, he drew some inspiration from the 2007 Disney-Pixar animated film Ratatouille. After all, if that little rat could cook, why couldn’t Jones? The Magic Pan, while a great starting point, ultimately wasn’t what Jones wanted to be doing with his crepe-making career. At one workplace, after leaving The Magic Pan, he had this experience while cooking: “I remember….the GM saying, ‘Hey, don’t get creative with that. And that was the beginning of the end, because I was like, really, you don’t want people to see that I care about how this looks for them?” And so, tired of the focus on mass production instead of the customer, Ryan and Kathia made the move to start their own business. Gotta B started small. It started on the summer solstice in June 2010, when the couple, working with a single griddle on their front porch, made crepes for their neighbors. 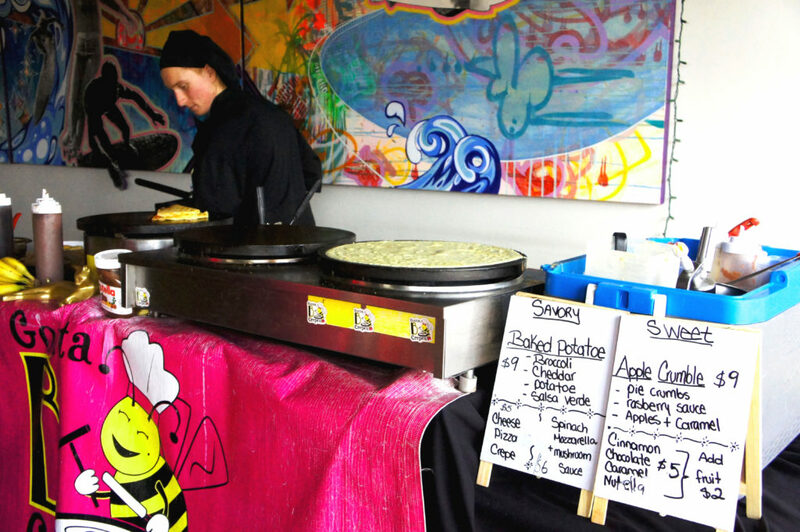 Farmers markets would ultimately come to be the main venues for the business, although it wasn’t a quick process from beginning to becoming the Green City crepe makers. Word of mouth got them their first gig at a farmers market in suburban Highland Park. At that market, they met a vendor who got them in touch with another market, and they grew from there. After their first couple of markets, Jones and his team started reaching out to other markets to work on a bigger scale. It worked: In its first year, Gotta B Crepes sold at 75 farmers market sessions and were on their way to more. In the small world of local farmers’ markets, Gotta B became determined to keep their crepes fresh and local, more often than not working with other farmers and food producers at the markets to source ingredients for their crepes. 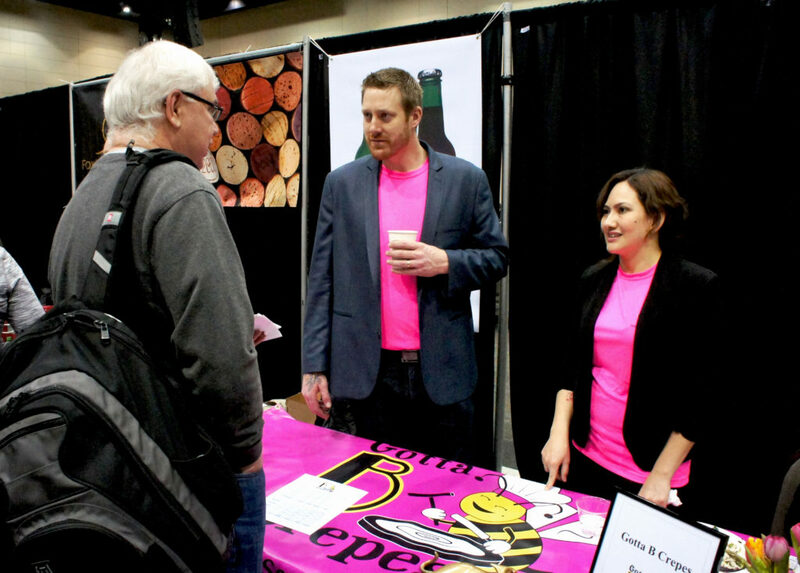 Eventually, Jones learned that there was an opening for a crepe maker at Green City Market, where he had previously been told they had crepe-making covered. After a few phone calls and a business plan Green City couldn’t resist, Gotta B Crepes had secured its spot as Green City’s official crepe makers. The slot is actually known as Abby’s Crepes in honor of Abby Mandel, the late founder of Green City Market, whose vision included a stand that would serve made-to-order crepes from ingredients obtained from producers at the market. Gotta B is serving Mandel’s memory well: According to Jones, the number of crepes sold at the market nearly tripled — from 7,000 to 20,000 — since his operation took over the space in 2013. Along with its farmers market gigs that take place mainly from spring to fall, Gotta B Crepes stages a number of pop-up and catering gigs. Here the Gotta B team made crepes on Feb. 28 for Sunday afternoon visitors to the Temperance Beer brewpub in owner Ryan Jones’ hometown of Evanston just outside Chicago. Photo by Bob Benenson/FamilyFarmed. And Gotta B makes an effort to do just that. At the beginning of each market season, and each season in general, Jones and his team do a bit of their own market research by offering early market-goers samples of their crepes and asking for their input. This method worked particularly well one year when someone suggested adding pecans to a crepe, which resulted in a collaboration with a vendor selling pecans at a nearby stall. Similarly, Gotta B has created more than one seasonal special with input from their early customers. 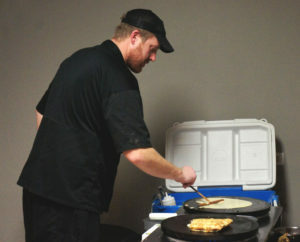 Turning batter into thin, delicious crepes is something of an art, and Ryan Jones of Gotta B Crepes does it with flair. Here he prepared savory and sweet crepes for an event at FamilyFarmed’s home office in downtown Chicago on Feb. 2. 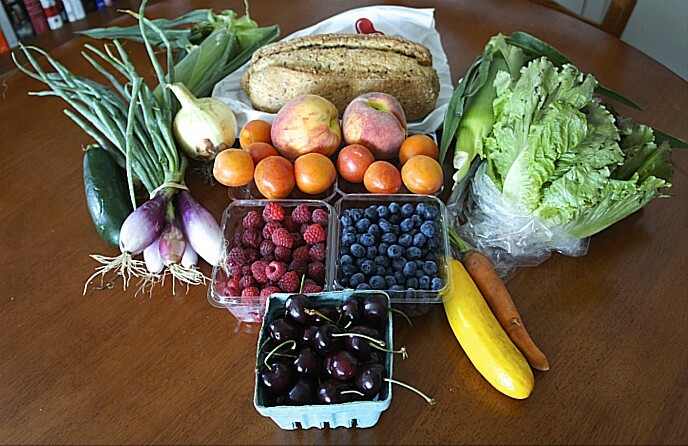 Along with farmers’ markets, Gotta B has collaborated with hospitals to provide fresher, better food to patients and staff, and hopes to have more of those types of collaborations in the future. What’s next for Jones and Gotta B seems to be wherever they want to go. With proven success with farmers’ markets, catering and independent parties, the only direction they can go is up. That’s just how it’s Gotta B. 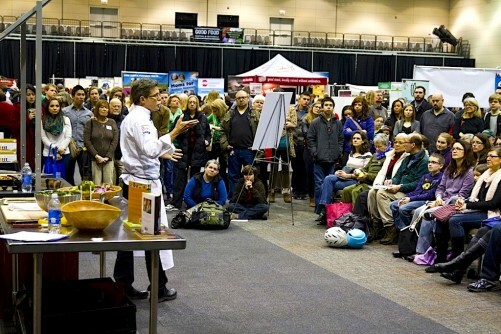 This entry was posted in Farmers markets, Food Artisans, Food Entrepreneurs, Good Food and economic development, Good Food Business Accelerator, Good Food business development, Good Food Festivals, Good Food marketing and tagged Chicago farmers markets, crepe making, FamilyFarmed, Food Entrepreneurs, Good Food Business Accelerator, Gotta B Crepes, Green City Market, Lettuce Entertain You, The Magic Pan. Bookmark the permalink.